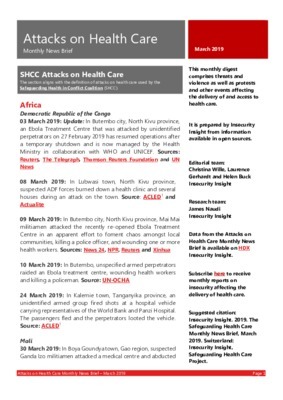 This monthly digest comprises threats and violence as well as protests and other events affecting the delivery of and access to healthcare during December 2018. 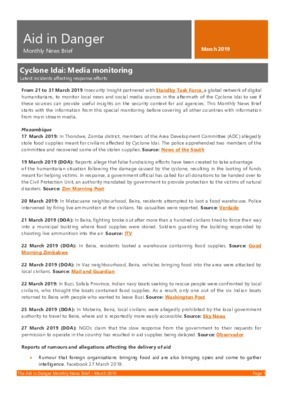 It is prepared by Insecurity Insight from information available in open sources. 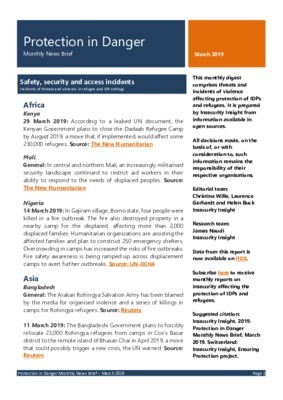 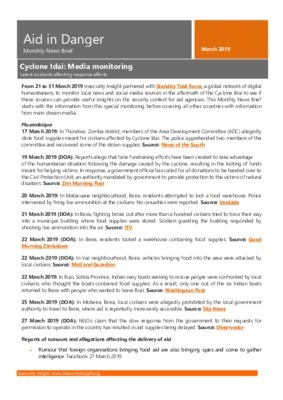 Subscribe here to receive monthly reports on insecurity affecting the delivery of healthcare - http://eepurl.com/c_eR_P Data from this report is now available on HDX Insecurity Insight - https://data.humdata.org/dataset/sind-safeguarding-healthcare-monthly-news-briefs-dataset .